Poker pro Shaun Deeb made a nice score on Sunday taking down the Full Tilt Poker $750k Guaranteed tournament; collecting a cool $132,787.50 for the win –I guess it’s safe to say that his retirement from tournament poker in late 2009 is now officially over! With more than a $70k overlay the tournament was one of the best values on Sunday. The main reason for the overlay was that Sunday was the first day of the WCOOP at PokerStars, and considering the WCOOP hosted three events the Full Tilt $750k still managed to draw an impressive 3,397 entrants. 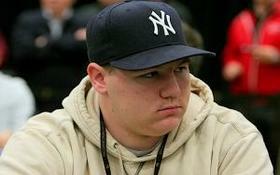 Deeb, one of the most prolific online tournament players in history, has been in the headlines for all the wrong reasons as of late: First was his entry into the 2010 WSOP Ladies-Only tournament –said to be in protest of the event—dressed in full drag; more recently Deeb has been one of the more vocal critics of fellow poker pro Sorel Mizzi, after an alleged chat-log was posted on the 2+2 poker forums, causing a firestorm of controversy and rehashing Mizzi’s past problems of buying accounts and multi-accounting –which saw him receive a lifetime ban from Full Tilt Poker and a 3-month ban from PokerStars. This entry was posted on Monday, September 6th, 2010 at 10:20 am and is filed under Poker News. You can follow any responses to this entry through the RSS 2.0 feed. You can leave a response, or trackback from your own site.